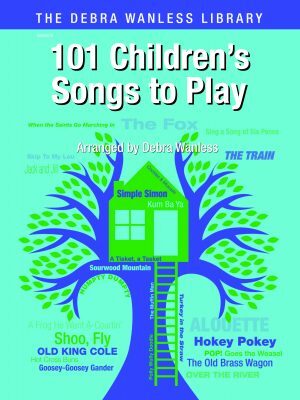 101 Children’s Songs to Play is a delightful collection of favourite children’s songs for the elementary pianist. This collection of piano/vocal/guitar arrangements are written in big note fashion for quick and easy reading. Students, teachers (private and classroom) and parents will love this collection. Titles include: Camptown Races; She’ll Be Comin’ Round the Mountain; Rock-a-bye Baby; This Old Man and many more familiar songs. 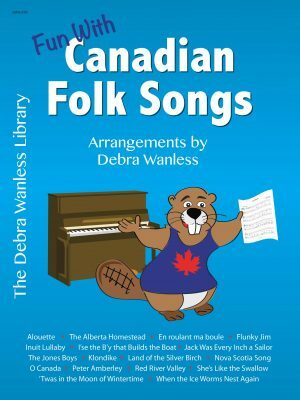 Fun with Canadian Folk Songs is a collection of 17 early elementary Canadian tunes for piano inspired by Canada’s 150th Anniversary celebrations. Each province and territory has been represented within the collection. The large print, inclusion of lyrics, fixed positions with simple hand crossings, approachable metres and keys combine to create a fun and ‘user friendly’ collection. The simple hands together playing may be easily omitted to adapt to the performer’s skill level. Children will want to play cover to cover! Short stories have also been included about each work. Children can now play ‘cool’ Canadian compositions during the first years of study. The Northern Lights Primer 1 progresses through natural processing. 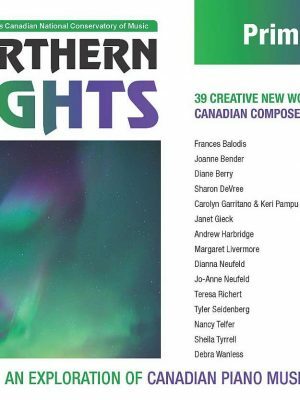 Northern Lights Primer 1 is a great supplemental book for all methods of study with 39 titles by 15 Canadian composers. Students develop simple on-staff reading, as well as improvisation. Young pianists are encouraged to use their voices by singing appealing lyrics while enhancing their rhythmic playing.Biographies and photos are included for each Canadian composer. Northern Lights Primer 1 is a fun, ‘must-have’ repertoire book for all young students! Works by Debra Wanless include:‘S’ Zoo; Night Sky; Mouse House; Sun Catchers; Pilgrims; Capt’n Cook; Brontosaurus Boogie; Dreaming. 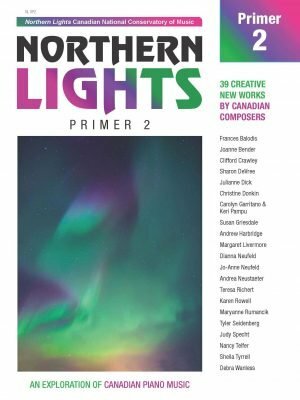 Northern Lights Primer 2 completes the elementary levels of this wonderful series of Canadian works. Released in July of 2013, this collections includes 39 solos and improvisations by 21 Canadian composers. Photos, biographies and pedagogy ideas are included. 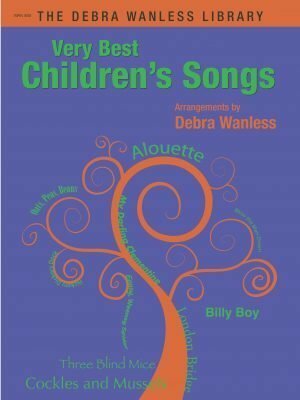 Very Best Children’s Songs is the perfect songbook for children and parents, classroom teachers, private lessons or just plain fun. This early intermediate piano/vocal/guitar collection contains 60 of the all-time favourite children – and adult – songs! Titles include: Alouette; BINGO; Kum Ba Yah; Polly-Wolly Doodle and many more appealing works. Young and old alike will love this collection of attractive, easy to sing and play children’s pieces.